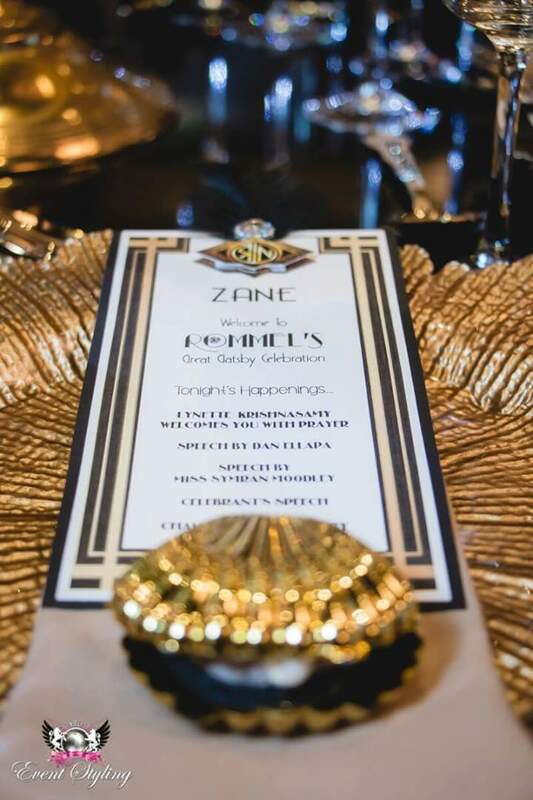 “Oh I’ll razzle and dazzle, wear you to a frazzle….” set the tone of the day as Miss Rommel celebrated her birthday in grand style with a Great Gatsby themed party and The Socialite has a sneak peek into the glitzy and very glamorous affair. 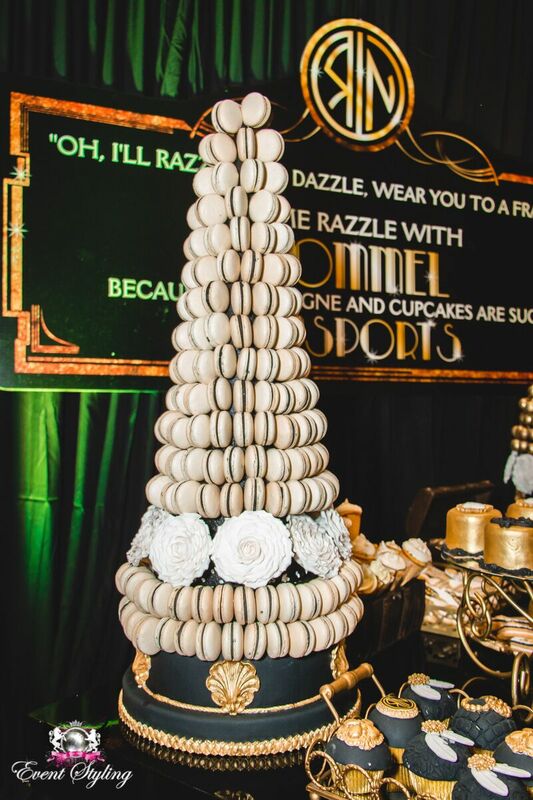 To celebrate this milestone birthday, Miss Rommel enlisted the services of Durban’s own Marge B of Event Styling. 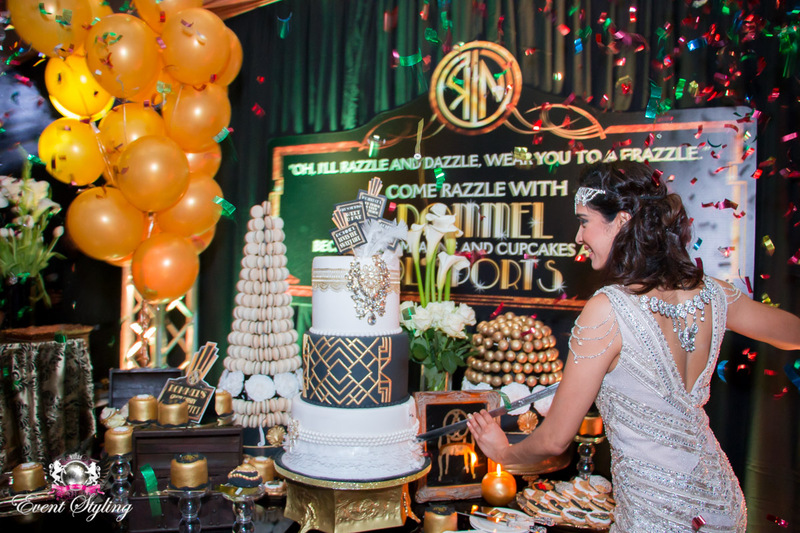 She was entrusted with the creative task of bringing the themed party to life and set out to ensure every detail materialised in honour of the theme chosen by the celebrant. 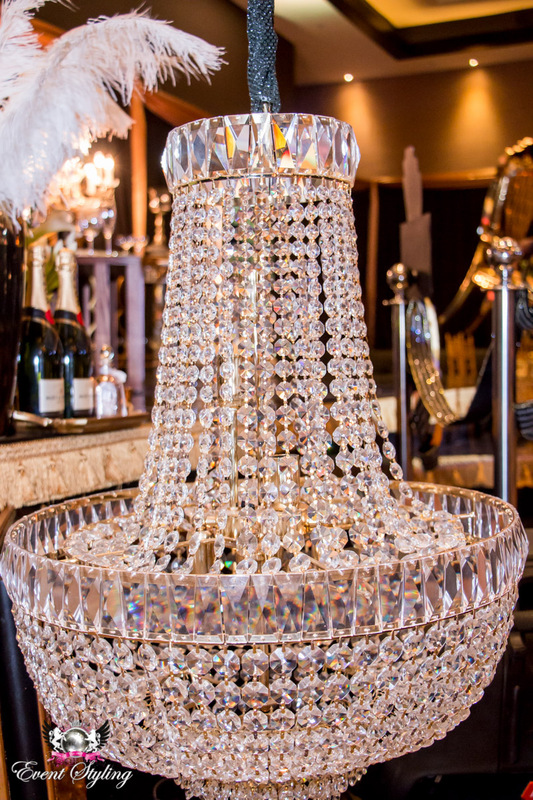 This elegant transformation into the era of Gatsby was a tribute to all things glamorous and deliciously evocative of the 1920’s. 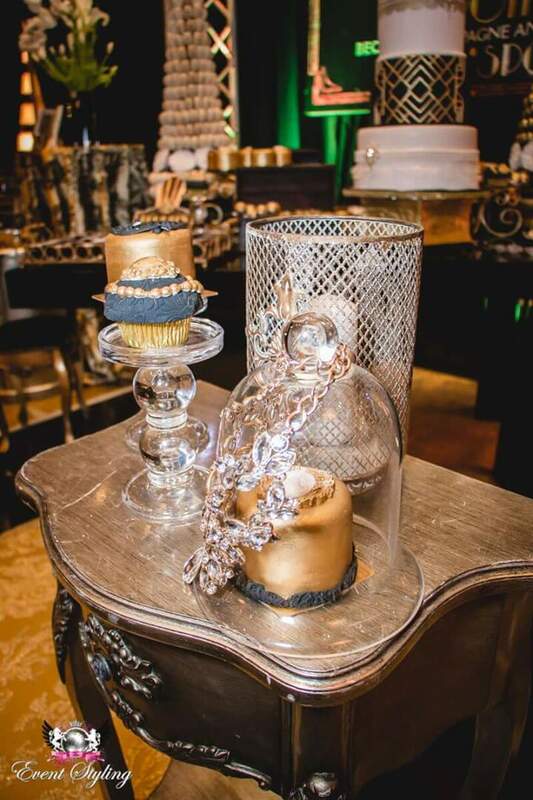 Team Event Styling set out to create the perfect ambience for guests, showcasing breath-taking décor, rich in glamour and gold and had the signature sleek stylings of Marge B. 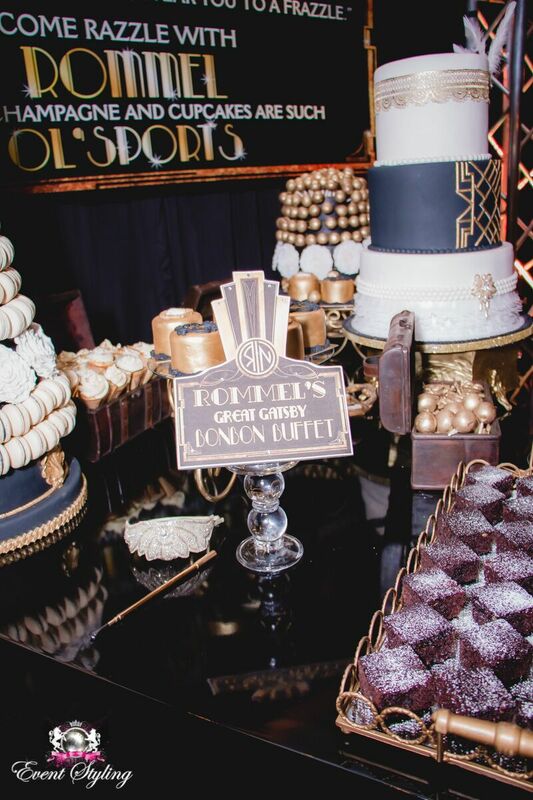 The sophisticated celebration included gilded balloons, giant sparklers and glorious, vintage crystal chandeliers to a photo booth and macaron tower that literally towered above the guests. 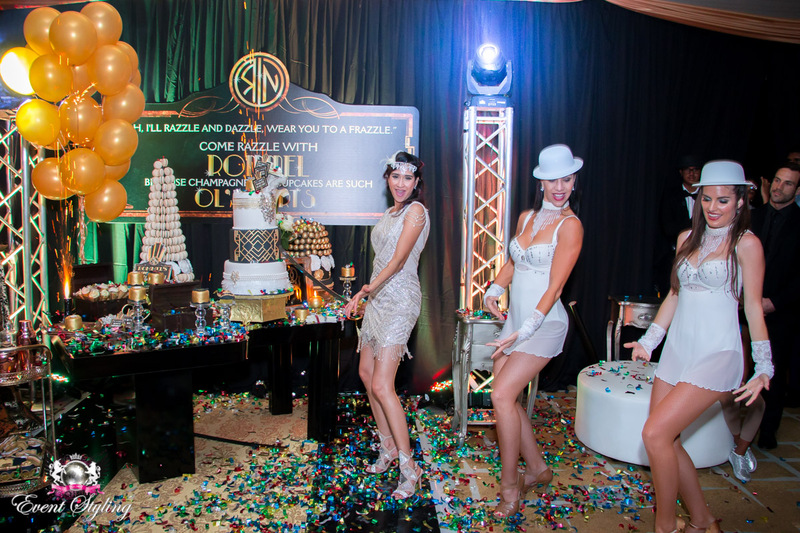 The Zimbali Coastal Estate played host to this gorgeous celebration which culminated in one of the most styled and lavish events KZN has ever seen. 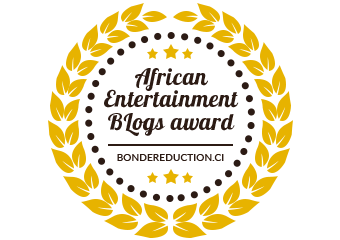 Paul Nash from the BBC and Wayne.H from elephantsbelly captured the night’s festivities, producing an exclusive video showcasing the one-night-only extravaganza. 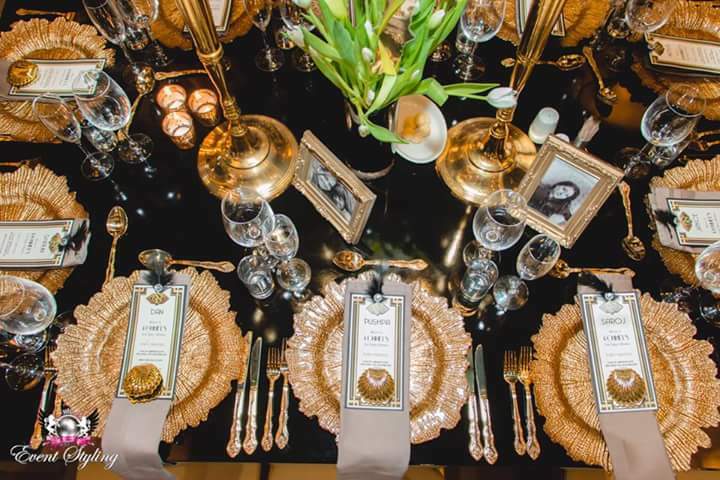 Are you looking to host an event or celebrate your birthday or engagement in style, simply contact Marge B at Event Styling on [email protected] or contact her directly on 0722229188 today to transform your event.